Glass countertops are an exciting and beautiful way to use recycled glass. We recently completed this kitchen remodel in Portland, Oregon where a Vetrazzo glass countertop was installed by Milan Stoneworks. 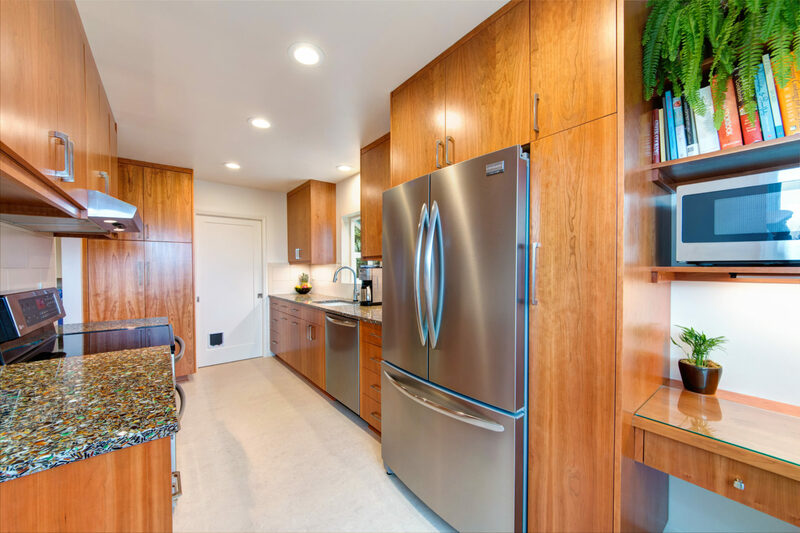 The blend of glass countertops and cherry custom cabinets hand made by Sitka Projects in Portland Oregon is quite stunning! 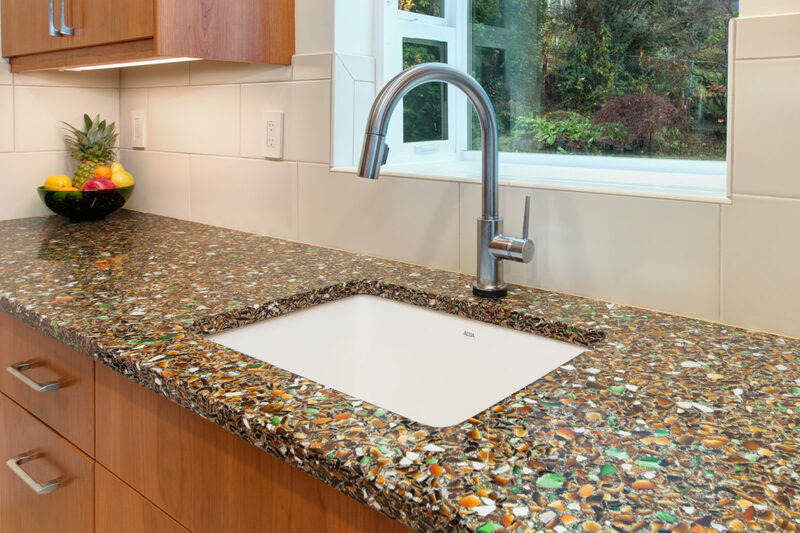 Recycled glass countertops are composed of recycled glass and cement. 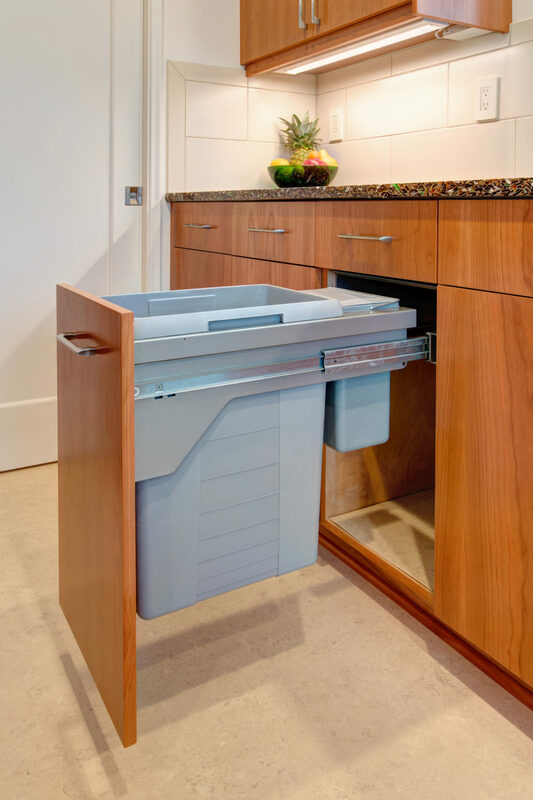 You are able to get a smooth surface similar to that of granite or quartz, but with your own unique variation of glass due to the use of commingled recycling. 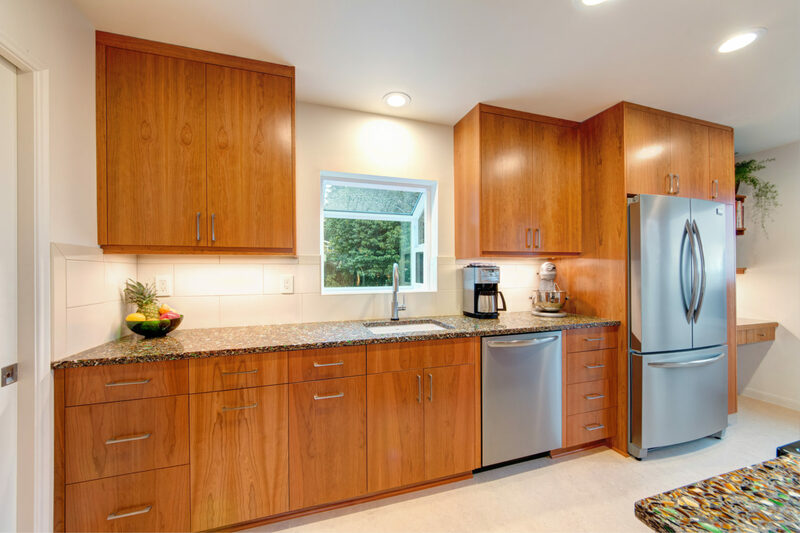 The durability of recycled glass countertops compares most closely with that of granite. It is easy to maintain, extremely durable and heat and scratch resistant. 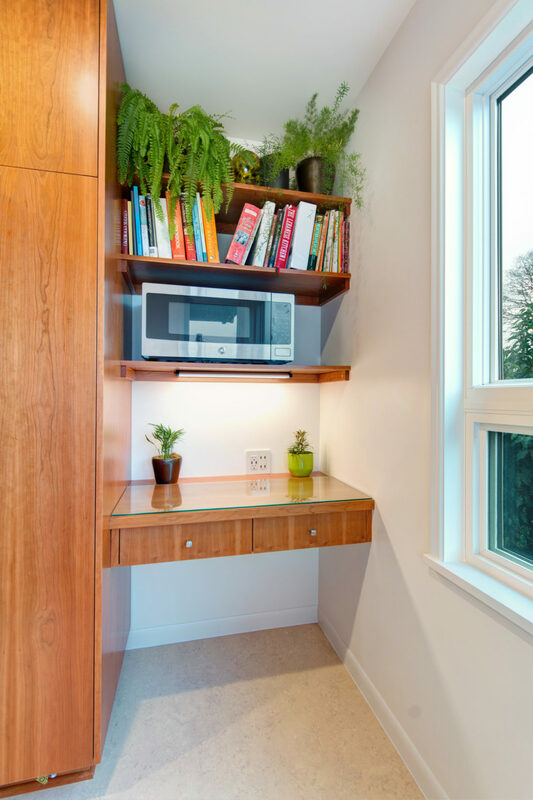 Glass countertops allow you to show your care for mother earth while having a stylish countertop you love. Recycled glass countertops come in a wide variety of colors ranging from white, beige, or grey to blue, green, or red. 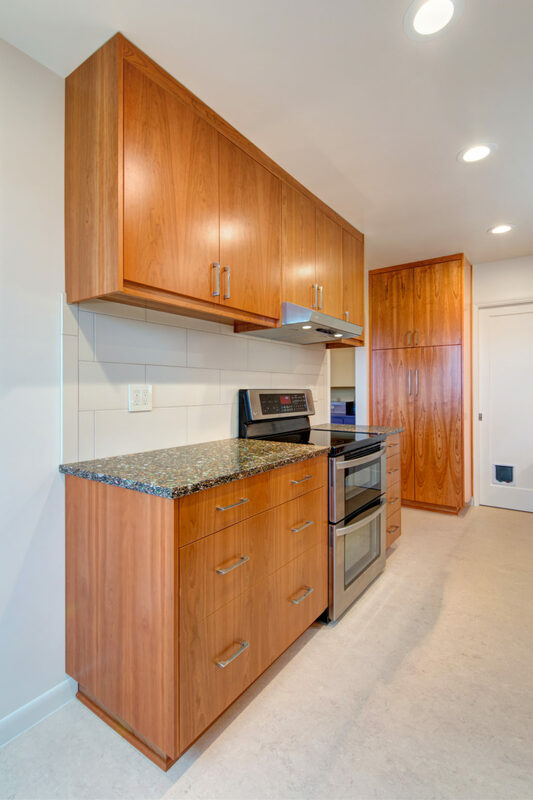 Since they are made from recycled materials each countertop is one of a kind and truly a work of art. Your countertop can be customized to your vision and will add beauty and elegance to your kitchen.